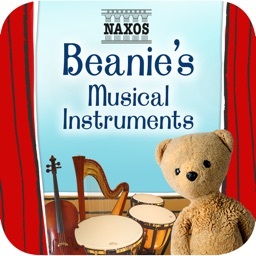 Beanie’s Musical Instruments by Naxos Digital Services Ltd.
A simple, delightful introduction to musical instruments for toddlers, young children and families. 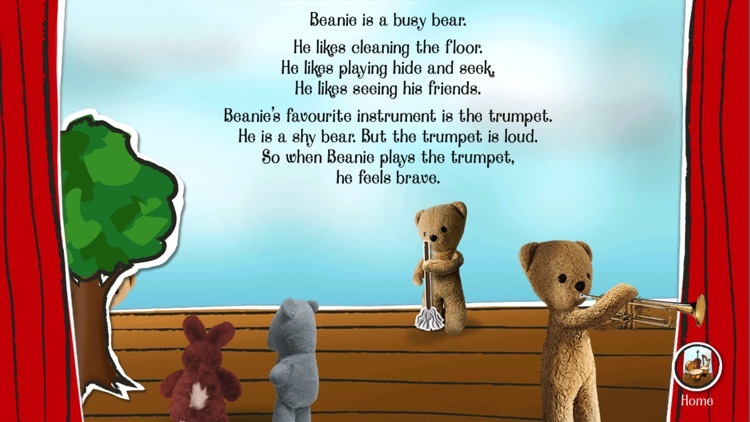 Meet loveable bear Beanie and his musical instruments! 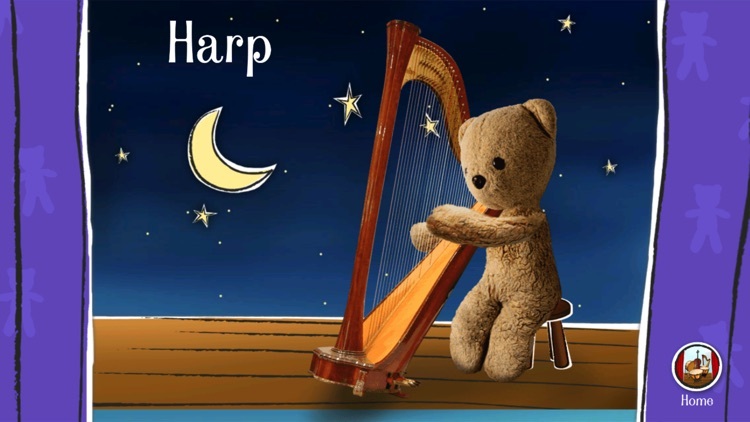 The stage is set, the curtains are shaking… children will love tapping them to reveal Beanie’s next instrument. He demonstrates 24 instruments. 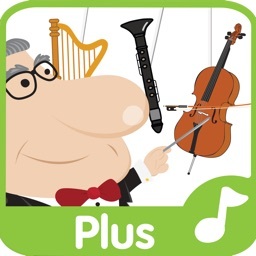 Play the app with your child to hear what each instrument sounds like and what it’s called. 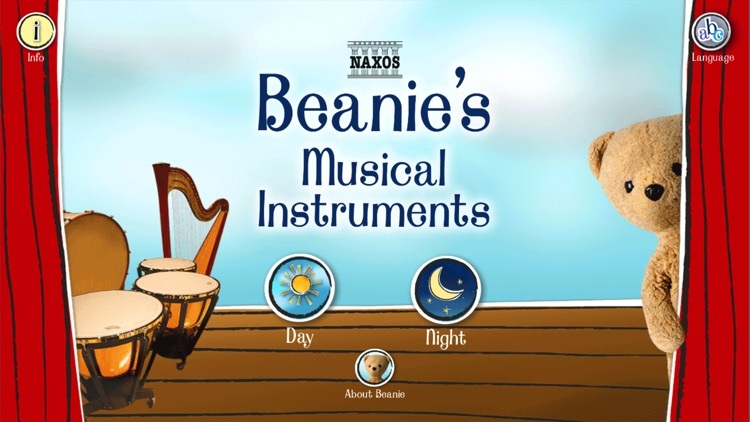 In the daytime, Beanie plays 12 different instruments. At the end, he dances to a piece of music. When it’s night-time, Beanie plays another 12 instruments. At the end, he is asleep, dreaming to a lullaby. Perfect to play during the day or at bedtime, this app is not only full of character but the sound of each instrument, taken from a top-class Naxos recording, is authentic and crystal clear. 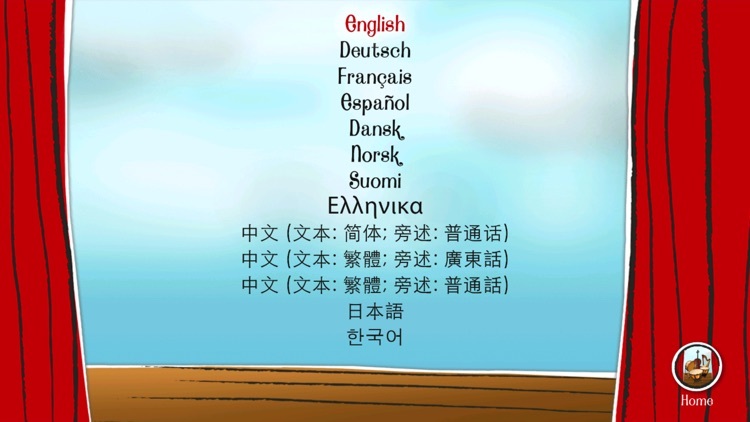 The app can also be enjoyed in 10 different languages: English, German, French, Spanish, Finnish, Norwegian, Greek, Chinese (Simplified and Traditional / Mandarin and Cantonese), Japanese, Korean. 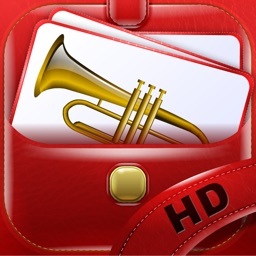 Full version includes: piano, violin, viola, cello, double bass, harp, guitar, flute, oboe, clarinet, bassoon, saxophone, trumpet, trombone, horn, tuba, timpani, xylophone, glockenspiel, snare drum, bass drum, tambourine, cymbals, triangle. 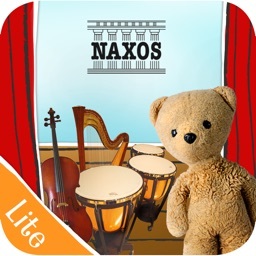 Naxos is the largest independent classical record company in the world. 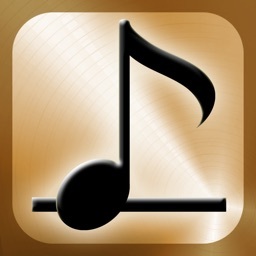 Its apps, consistently well reviewed, reflect a specialist knowledge and a love of music that permeate whatever is produced. 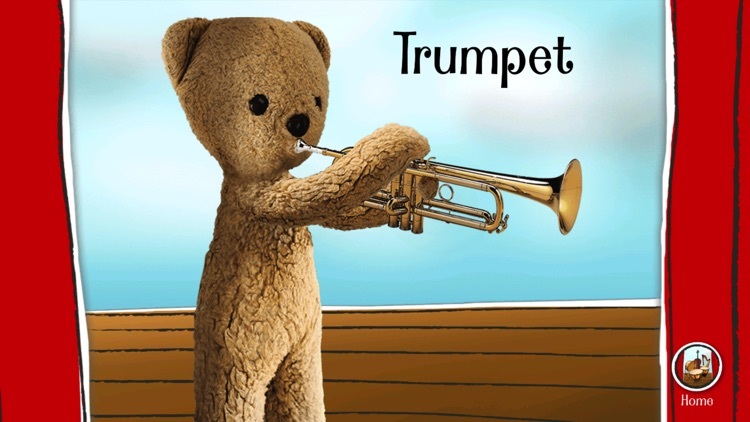 - A brand new app to engage and inspire very young children. - Perfect to play during the day or at bedtime. - 24 musical instruments clearly played and announced. 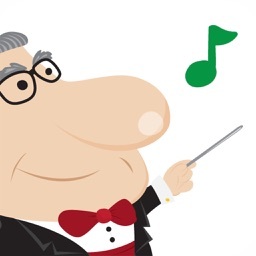 - Crystal clear musical extracts from professional recordings. - Led by an animated, characterful bear, Beanie. - Clear, accurate photographs of every instrument. - Two orchestral tracks: 1. Delibes: Coppélia (Act I: Mazurka), 2. Fauré: Berceuse, Op. 16.